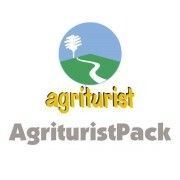 On AgrituristPack.com you can find packages and agritourism involving other operators in the region. The range is from simple accommodation or restaurant, accommodation and restaurant, to the formulation of more complex packages that allow you to live the Venice area at best. The farm are all located in areas rich in tourist attractions more or less known. Enjoy the conviviality, the warm welcome, the quietness of the countryside, along with other services.